I definitely don’t draw enough hexmaps – this is something I realize as soon as I do draw one. Especially at the six-mile-hex scale like this one. I printed the base hex off myself using the hex paper from incompetech so I would have a base hex that works for me; and to make the 6 mile hex really work right, I used one mile hexes as the subhex size (although I would probably use half-mile hexes next time). On a normal hex map, this would be a single hex with woods and probably a village marker on it (maybe not, depending on the scale you are using, as little old Kith isn’t that big of a village). In the closeup we get the hills, the gap in the woods where the road leads to and through Kith in the south, and a few smaller details like a ruined tower in the north, a small cave in the woods a little northwest of centre and a solitary standing stone just sitting there in a clearing on the hilltop. Let’s just say that’s where the druids used to meet… or maybe it is where the dark goat leaves her young during the autumnal equinox. This hex is one of four maps I put together for the first adventure release from Grey Fey. “Adventure Most Fowl” is a classic-style adventure for very low level adventures (level 1 characters are probably a little on the powerful side for this) using old school fantasy rules. 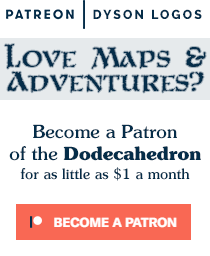 It is available now at RPGnow! Excellent work as usual! How exactly did you use the incompetech.com generator to make the smaller hexes inside the large hex? Or did you just generate two separate filed and stick them together? 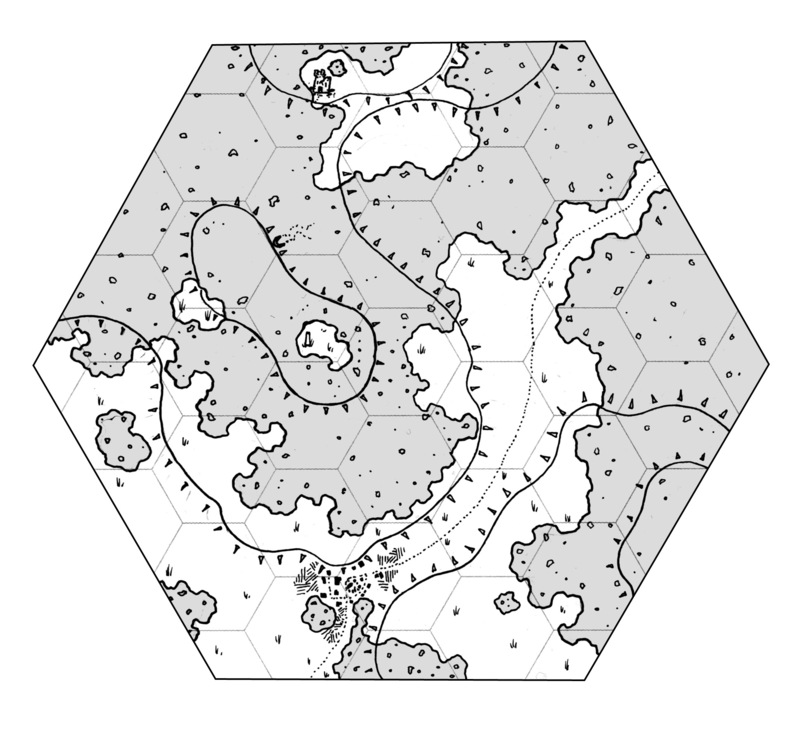 I want to run a small scale hex adventure soon and a template like that would be awesome. I drew the big hex in by hand.